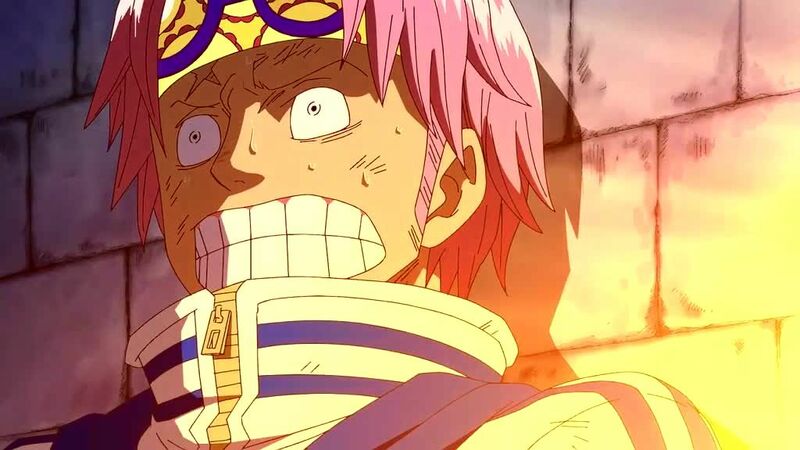 You will Watch One Piece Episode 465 English Dubbed online for free episodes with HQ / high quality. Stream anime One Piece Season 14 Episode 7 Justice For the Winners! Sengoku’s Strategy in Action! Oars Jr. tries to reach towards Ace, but is unable to and falls down. Vice Admiral Ronse launched a sneak attack at Whitebeard, but was easily defeated by a quake punch. Whitebeard ordered his soldiers to storm the plaza. Coby and Helmeppo run inside Marinefold to escape the battle, but witness Akainu kill a marine for doing so. Sengoku tells the strategy of forgetting about the time and executing Ace to all the marines, and Coby and Helmeppo also hear it. They witness something falling from the sky, which happens to be Luffy and the escaped prisoners from Impel Down.